How many tracks/locations does this game have? Free PS Plus version has one location/11 tracks. The full (upgraded PS Plus or disc) version has 5 locations/55 tracks. We’ve all been there. You’re tearing round the last lap in, say, Gran Turismo or Need For Speed, defending a narrow lead over the chasing pack, when your concentration slips for a second and you find your car buried in a hedge. With the race all but lost and any rewards snatched away, it’s understandable that throwing a quick tantrum and furiously jabbing Options > Quit Race can be an instinctive reaction. The racing game rage-quit is a real conundrum for designers – not only does it rip you out of the game and compromise your enjoyment, but it also inhibits the integrity of the online multiplayer experience. Duly, it’s an obstacle that Evolution Studios is tackling head on in DRIVECLUB on PS4. “I play a lot of racing games and I’m a pretty good driver, but I’m not always the guy who’s in first place. I like to have fun and take risks, rather than obsess about perfecting every single corner. The problem for drivers like me, and I think we’re in the majority, is that racing becomes too intense and intimidating when it’s all about winning. As explained in our recent video (see above), finishing first isn’t the be-all-and-end-all in DRIVECLUB. As you race, you’ll be given the option of taking part in smaller challenges on certain sections of the track – maintaining a high average speed, holding a racing line, or pulling off an impressive drift. Put in a good performance and you’ll accrue points for your club and set new markers for friends to try and match. “In so many racing games there’s that ‘all or nothing’ mentality. One moment you’re in first place, and then suddenly you crash and you’ve lost everything. The preceding few minutes of superb driving count for nothing,” says Rustchynsky. “With DRIVECLUB, if you’re racing online and you make a mistake it’s not game over. You don’t lose everything and you’ve still got dynamic Face-offs to keep playing for. In short, it doesn’t pay to quit from a race in DRIVECLUB. Not only will you lose everything that you’ve already earned, but you’ll also stop contributing to your club as well. It’s always worth finishing the race – you still might record a good run which you can then set as a challenge – and there are then additional rewards tied in to that too. This core competitive loop might be familiar to anyone who played Evolution’s last title, MotorStorm RC. That game came packed with bite-sized challenges which you could share with friends for bragging rights. And with DRIVECLUB, Evo has taken this idea and run with it. “We tested an early version of our challenge system in RC,” he states. “It was a lot of fun and we got some great back-and-forth rivalries going between players, but we always found that after a while one of the players would reach their physical limit and the competition would dry up. “Even so, we saw players repeat the same challenge hundreds of times in a single day. That surprised us. We didn’t think people would get that hooked. 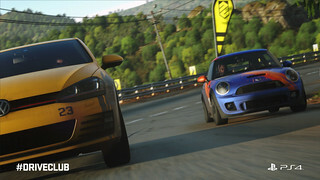 And with DRIVECLUB we’re taking it further and making it easier to compete and have fun. “In RC there were no rewards off the back of it, other than ‘Ha, I beat you!’ and that was great, but we wanted to make sure we evolved that so there’s a reason to keep jumping into challenges over and above the bragging rights. Believe me, he’s not wrong. Even for a gamer like myself who isn’t a dyed-in-the-wool petrolhead, Evo’s PS4 debut is seriously hard to put down. But there’s no need to take my word on face value. If you’ve been staying abreast of recent press of the latest playable build, you’ll know that DRIVECLUB is shaping up rather nicely. We can’t wait for you to check it out for yourself a little later this year. As you might have noticed in recent trailers, Evolution Studios’ forthcoming PS4 racer Driveclub really is a looker. But until you see it up close it’s hard to appreciate just how much effort the team has gone to ensure it really pushes at the boundaries of gamers’ expectations. During a recent studio visit I was treated to anecdote after eyebrow-raising anecdote, from key team members about just how detailed this game is. Duly, to shine a light on the extraordinary work that’s currently underway up in Runcorn, Cheshire, I collated as many as I could note down into the list below. Take a look and keep in mind this is only scratching the surface — Evolution still has months of development left and are adding new elements every day. 1. NASA data was used to accurately map out the night sky — so wherever you are in the world you’ll see the correct star constellations for your location. 2. If you’re lucky, you’ll get to see the northern lights — it’s possible to see the aurora borealis from the northern tracks in Norway, Scotland, and Canada. 3. All clouds are full 3D models to ensure accurate light diffusion from the sun. They’re calculated at massive distances in a fully volumetric form, so thin clouds cast lighter shadows than dense storm clouds, and their color impacts the feel of the landscapes and cars. 4. Skies are uniquely generated every time you play, so just like in real life you’ll never see the same sky twice. Unless you’re replaying somebody’s challenge, in which case it’ll replicate exactly to ensure a level playing field. 5. You can play with settings to speed up or slow down the day/night cycle. With some circuits taking over a couple of minutes per lap, at 60x accelerated speed with a judicious choice of start time, it’s possible to experience two sunrises and sunsets in one race. Both of which will be completely different to each other. 6. Clouds react dynamically to different wind speeds. This is then converted into a ground wind speed which accurately interacts with all vegetation, overhead cables and other environmental features, based on their height from the ground. 7. Waves and rippling on the surface of lakes is dynamically linked to wind speed, which affects how clear reflections are in the water. 8. High resolution NASA data was used to accurately map landscapes and mountain formations — which were then tweaked to ‘improve’ on their natural beauty and make them perfect for high-speed racing. 9. The team spent weeks out on location and covered a minimum of 200km every day to get a feel for each country’s roads and atmosphere. They captured thousands of photos and recordings along the way, in all weather conditions and different times of day. 10. Road tarmac textures are hand-modelled rather than tiled or tessellated. Stones and bitumen are all placed and then rendered procedurally to give realistic surface detail with huge visual variety and no repeating detail on any road surface. 11. Each location has a draw distance of up to 200km to the horizon and even simulates the curvature of the earth in both skies and terrain. Distant landscapes are built out and fully modelled, instead of “painted on,” to ensure that they support the dynamic, volumetric nature of the skies and lighting. 12. All environmental light sources are independently generated with different properties. The team sampled the color and intensity of individual streetlights, house lights, and even camera flash bulbs, which you’ll see best in any of the Indian tracks at night. 13. Some tracks boast more than 1.2 million road-side trees — and this number keeps going up as the artists try to out-do each other as development progresses. 14. There are more than 100 different varieties of trees, bushes, mosses, and flowers. The team consulted botanists at Kew Gardens to learn which plants would naturally grow in each location. 15. Wildlife is realistically tied into the day/night cycle. You’ll see flies and butterflies only during the day, and moths and bats only at night. 16. One of the India tracks features a tea plantation with a sprinkler system that turns off and on at set times during the day. 17. The Indian track Chungara Lake boasts a 19,000-strong flock of pink flamingos, all behaving independently of each other. 18. …and look out for the seagulls in Scotland, roosting crows in Norway, Canadian geese, and vultures in Chile! 19. Spectators are placed in realistic spots where they would feasibly enjoy a good view of the race. This is done by hand, by Neil Sproston, a senior track designer who’s a real life race enthusiast. Neil regularly clambers over walls and fences in pursuit of a good viewing spot for a real life race. Duly, Evo leveraged his expertise! 20. Spectators dress for the weather — if it’s a cold night, expect them to be sporting hats and gloves. 21. A typical Driveclub car is made up of 260,000 polygons. The staggeringly detailed cars you see in promo videos are the same models you drive in the game — they’re not pre-rendered CG versions. 22. Each car takes approximately seven months to create — from initial licensing, reference collation, CAD data processing, asset production, physics modelling, through to the final car in-game. 23. Evolution snapped in excess of 1,000 photos of the interior and exterior of every car as part of the reference gathering. 24. Pagani employ seamstresses to accurately match up the symmetrical carbon weave on the cars bodywork, and even add the “Pagani” name to their small screw heads. These nuances are accurately reproduced in-game. 25. The same 3D CAD (Computer Aided Design) engineering data that the manufacturer uses to factory produce each vehicle has been used by the development team to create each car. 26. More than 500 different material types are available to designers to apply to the vehicles. 27. The cars have realistic layered paint materials — base metal or carbon layer, primer coat, base color coat, two metallic paint coats, clear top coat, etc. — which can all be stripped away individually as part of the damage system. 28. A full shader-driven procedural system is used to simulate car damage. Multiple layers of scratches appear in the most exposed areas and edges, revealing undercoat and bare metal or carbon. A parallax mapped dent layer provides minor crumpling, and a physics driven vertex deformation system is used for severe damage. 29. As you race, dirt and dust gradually builds up on the car, subtly altering its appearance. 30. Screen space reflections (SSR) are being used together with real time dynamic light probes to render vehicle lighting and reflections more accurately, as opposed to using outdated pre-baked cubes. 31. The car dashboard reflects onto the windscreen in bright light; and the car exterior reflects onto carbon interior panels. 32. Anisotropic lighting is used to simulate the effect of each individual thread in carbon fibre weave. The pattern of the carbon alters realistically with the lighting angle and surface curvature. 33. Headlights are modelled using multiple layers of reflectors and lenses that realistically reflect and refract the bulbs shining beneath. 34. Rainbow specular highlight effects can be seen in headlight lenses because thin film interference is utilized. 35. Animated active aero flaps are rigged up accurately and coupled with the physics system to operate exactly as they would in real life. The Pagani Huayra is one of the best examples of this. 36. Conversion of kinetic energy to heat is physically modelled to accurately render the temperature and glow color of brake discs. 37. The speedometer displays have been accurately reproduced for every car in terms of visuals, technical display output, and behavior (again, all hooked up to the in-game physics). 38. Each reference car was fitted with at least 16 separate microphones to authentically capture the sounds of the engine from 360 degrees, inside and outside of the car. Some had four mics on the exhaust alone. 39. In-game, the engine sound reacts to your perspective. Pan around a stationary car gunning its engine and the sound shifts with the camera position (relative to where the engine is). 40. When you race, the engine sounds are different based on which of the six camera views you choose — inside or outside of the car. You’re not hearing the same engine audio with a filter — it’s all recorded separately. 41. The recordings were so accurate that BMW and Mercedes-Benz AMG requested copies to replace their existing library. 42. In many cases, Evolution’s audio captures are the most high definition recordings of these cars in existence. 43. Bespoke sound effects were recorded for every action in the game. You won’t hear a single stock sample. 44. 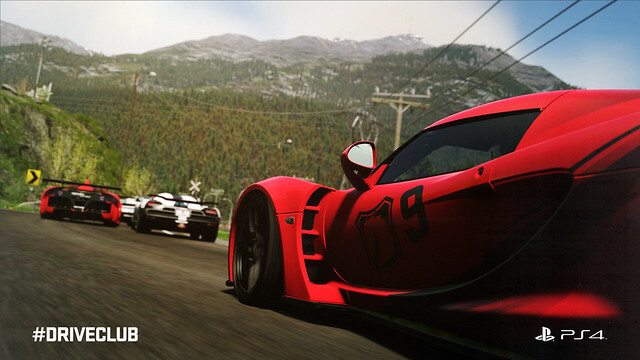 Although not a sim, Driveclub’s handling model is based on real world physics, using technical data about performance provided directly by the manufacturers. 45. To fine-tune the performance of every vehicle, a virtual “rolling road” test is used to check acceleration, top speed, weight distribution, and braking performance. 46. Aerodynamics are physically modelled. For example, activating DRS on the McLaren P1 affects the levels of downforce to increase top speed and acceleration. 47. Evolution worked closely with Thrustmaster to get the best possible feel on all their wheels. When using a supported wheel you get 1:1 movement between the steering wheel in your hands and the steering wheel in-game. 48. The AI drivers adapt their racing tactics and braking strategy based on pressure from players or other drivers. When alongside them, they will try to brake deeper into the corner. 49. AI drivers always try to predict overtaking opportunities based on the track, the performance of their car relative to opponents, and also how opponents are driving at any given moment. 50. When an AI driver has a car with KERS (Kinetic Energy Recovery System) fitted, they will use the energy strategically at opportune moments to pass or block opponents on the track. 51. Despite all of the above, once selected a track will take no more than 15 seconds to load. ...real time dynamic light probes to render vehicle lighting and reflections more accurately, as opposed to using outdated pre-baked cubes. How do you pre-bake something? You bake it before you bake it? Who are these people? Should have put a countdown in my last post. Edit: Real talk...sounds impressive. Proof is in pudding. Last edited by chess; 06-05-14 at 01:42 PM. Hi, my name is Volker Zaiss and I work at Mercedes-Benz. 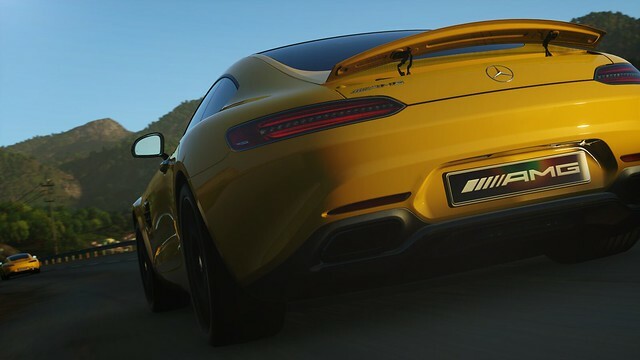 What brings me here is the brand new Mercedes-AMG GT sports car, which I am proud to announce as the latest addition to the DRIVECLUB roster. 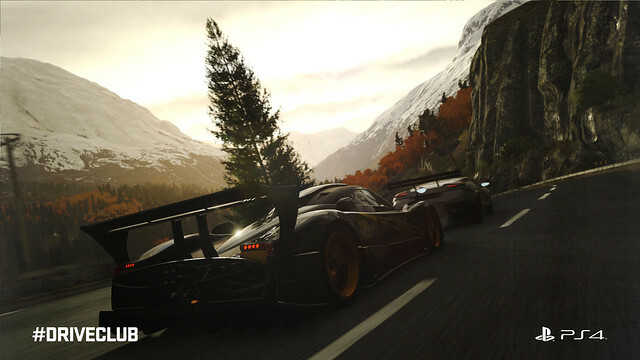 Even though the car will be released on the market in 2015, it´s going to be available exclusively in DRIVECLUB as free DLC right after the game´s launch. This is thanks to a close collaboration with the guys at Evolution Studios, who have been able to replicate the car in astonishing detail. Well, despite not being as much of a gearhead as the engineers at AMG, who are responsible for the driving performance of the Mercedes-AMG GT, I also get a thrill from putting the pedal to the metal. When you hear the roaring engine sound and feel the power that thrusts you forward, it’s truly addictive. And DRIVECLUB does an excellent job of giving you that same extraordinary feeling. Experiencing the car while racing through beautifully rendered landscapes with the sunlight reflecting from the bonnet, and sharing in the excitement of racing for a club with my friends — what could be better? 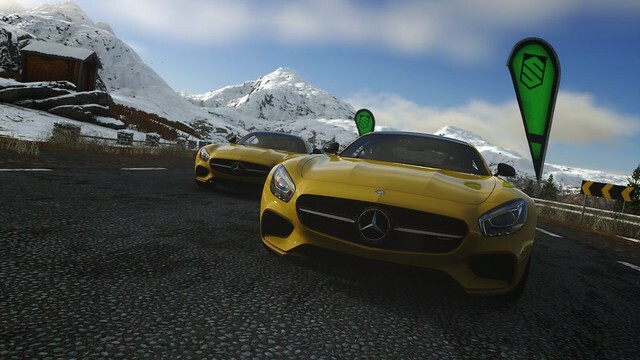 I really hope you are going to enjoy racing the Mercedes-AMG GT in DRIVECLUB; something that non-gamers are going to have to wait until 2015 for, so be sure to not miss out on the free DLC. And for all of you who want to warm up with friends in preparation for upcoming club battles, Mercedes-Benz is running a DRIVECLUB-themed competition: www.journeyofstars.com. It´s inspired by the game and follows the same principle: you create a club, invite friends from all over the world, compete in various challenges to get to the top of the leaderboards, and reap the rewards together. Our players are the heart and soul of DRIVECLUB, and when the game begins October 7th, Evolution Studios will be going all out to keep the experience fresh and exciting for all of you. We’re determined to build up a lively community of millions of connected racers around you, so our post-launch development will be influenced by what you do in the game and the feedback you share with us. New content, improvements, and updates will all be shaped by you and everyone you play with. And of course, we’re going to do our best to keep surprising you with our own creativity, too! In fact, thanks to all of the players we’ve met and talked to already, our mission has already started. We’re already working hard to develop free updates that will introduce a powerful weather system (that you can play around with to change the dynamics of every race) and a photo mode, because they’ve both been requested ever since we first showed how you can control the time of day and skies in the game. And even though we’ve already got 55 routes over 25 tracks in the game, we’ll be bringing you more new tracks to enjoy and all of them will be free. We’ll also keep adding more of the world’s best cars to the game and we’ll give you one car every month, as a free series running from October 2014 to June 2015. For those who want even more, we’re making a full calendar of new release DLC that will run deep into 2015. This will let you buy packs of new cars and new campaign tour expansions, to give you more to play for each month. This calendar will start in November 2014 with every pack offering new challenges to play and new Trophies for you to earn. There will also be a Season Pass available for $24.99* so that you can pre-order the DLC packs and get huge savings. In fact, it works out that with the Season Pass you’ll save more than 60% on the cost of purchasing these packs individually, as the total value of the packs will be $75.84*. And the best part? All of this is just the start! 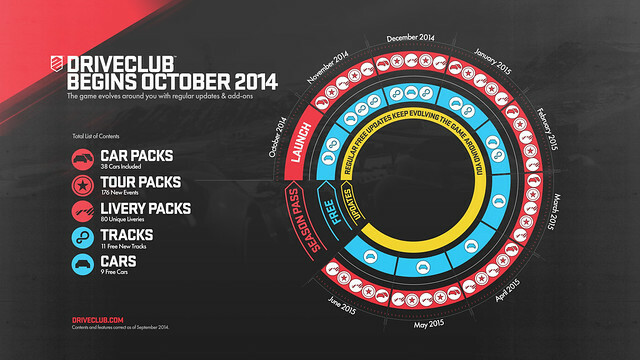 We keep saying “DRIVECLUB begins on October 7th 2014″ because we don’t know exactly how the game will evolve with each update until you get your hands on the game and start playing! We hope you’re as excited about this as we are. 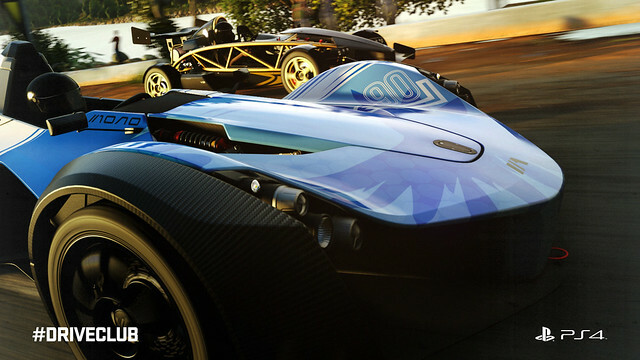 We can’t wait to shape the future of DRIVECLUB with you! Are you on board and are you bringing your friends along with you? *Prices quoted are based on regular price on PS Store. So if you have PS+, reg game is $49.99 and season pass is $24.99. $75 doesn't seem too bad for everything. Yeah, not bad. Buy PSN credit this week via Target cards (2 x $20 for $35, 2 x $50 for 82.50) and it comes out even cheaper. so are the tracks free DLC but the cars are purchased? Now, the game is on track for its October release, according to a developer comment on the PlayStation Blog, which was found by a Neogaf user. "The game has gone GOLD," director Paul Rustchynsky said in the comments. "See you online in a few weeks!" I'm gonna be in big trouble if both this and Forza Horizon 2 are awesome. I just got back from Target and there was no such deal to be had - - must have ended yesterday or something. No slop, it's that way through today -- all gaming cards are buy 1, get 2nd at 25% off (i.e. save 12.5% if you buy two -- plus an additional 5% if you have Red Card). I bought $80 in PSN credit for $70 yesterday so I know it's still active. There are no signs up and you need to buy two for the discount to kick in. There were no signs in the store, so I asked an employee and they said no. And I couldn't find any online info to show them. Not sure what else I could've done. Trusted me It rings up right. It's on page 4 of the weekly ad. Last edited by Decker; 09-13-14 at 12:16 PM. I guess I'll try again later today, but god I hate going to Target on a Saturday. Apparently this won't count towards the monthly free PS+ games. Makes sense given that the free PS+ offering is just a demo. It's certainly more than a demo. It's one of five (but will soon be two of six) locations, 11 of 55 tracks, some limited number of cars, all the game modes, full integration into the club activities, trophies unlocked. If anything it's more like a Free To Play game than a demo. That said, I'm going to upgrade to the full digital version assuming it comes out good. Glad to hear we'll get our two free PS4 games in addition to this. Alright. Pre-Order is in. Is there a DVDTalk club going already? I'm hoping to start one. Don't think we can yet. And about the Pre-Order : you've already done it, but for the rest, I'd advise waiting. There's no discount, no pre-order bonus associated with it. You're going to be better off waiting until 10/7/14, trying the free version, getting a feel of the driving and gameplay. If you like it, then buy the full game (either the disc version or the $49.99 upgrade which will unlock the full game permanently even if your PS Plus expires). That's what I'm going to do, though chances are really good I'll be buying both the game and the Season Pass -- I already stocked up on slightly discounted PSN credit in anticipation. Last edited by Decker; 09-18-14 at 05:54 PM. Presentation from Milano...could probably skip to the 8:00 mark...shows rain, snow, night, photo mode. Best looking game I've ever seen, and it looks like the driving dynamics are coming together. Cars seem to have a nice weight to them. I'd imagine I'll stick with the PS+ edition unless there's a nice sale down the road on the upgrade. 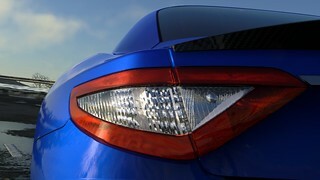 Rivals is still my driving game this gen. Love that game. Insane that this and Forza Horizon 2 both come out just a week apart. I'm definitely more excited for Forza because of their (somewhat) proven track record with the first one, but I'm still looking forward to giving Driveclub a try.